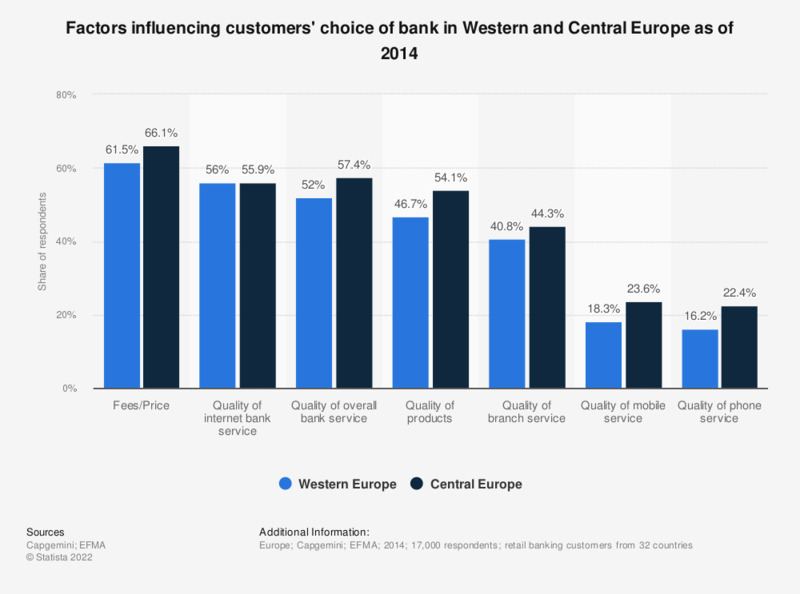 This statistic illustrates the factors that influence choice of retail bank, according to Western and Central European customers as of 2014. Across the board, a higher share of Central European customers considered the mentioned factors important. Fees and price influenced customers in both regions, with five percent more respondents underlining the importance in Central Europe: 66 percent compared to 61 percent in the West. Also, approximately 23 percent of Central European customers valued the quality of mobile service, compared to 18 percent of Western customers.